Gene Simco is a BJJ Black Belt Certified by the IBJJF and is one of the few Americans to be awarded a Black Belt Diploma signed by Carlos Robson Gracie (Renzo Gracie's Father) from the oldest Brazilian Jiu-jitsu Federation in Rio De Janeiro, Brazil Founded by Helio Gracie. 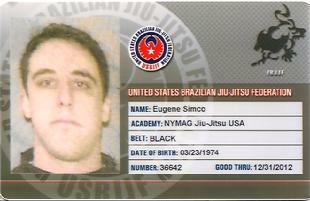 Below is a list of references and testimonials from individuals, including Military Personnel, Law Enforcement Officers, Professional Fighters, Students and Fellow Martial Arts Professionals who have all benefited from Gene Simco’s instruction both in person and through his books and videos. "I want to acknowledge Mr. Simco and his staff for being the type of people to bring value to the art of jiu-jitsu and for creating a space for the players to be recognized for their hard work and effort." 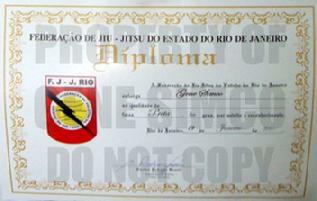 "I've known Gene for over two years now, not only as a teacher of jiu-jitsu but as a friend. He is extremely knowledgeable and skilled in his craft. Gene is able to teach in a way that is easy to understand and allows me to apply it in real life situations.